International course addressed to specialists in gastroenterology in Spain and Latin America. Based on 20 clinical cases, presents 100 dilematicos scenarios for decision-making in patients with common diseases of the esophagus, stomach, and duodenum. Accredited qualification of the Institute Practicum of Applied Research to the Education in Sciences of the Health. International course addressed to specialists in Gastroenterology. It is composed of 30 actual cases from the practice of the specialty, which contain a total of 150 simulated scenarios with controversial solutions. All the cases presented belong to prevalent diseases of gastroenterology both in the hospital (emergency and hospitalization) and in the ambulatory care. Two new clinical cases are published every week. International Course directed to gastroenterologists who develop their activity in the ambulatory care, specialists in internal medicine and family medicine and community and to general practitioners, from Spain and Latin America. 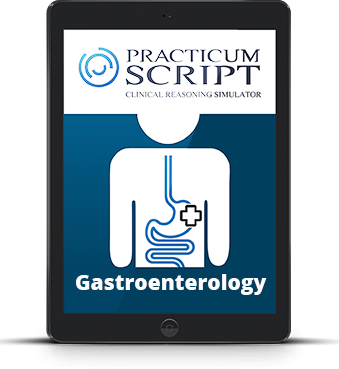 It is composed of 20 actual clinical cases of patients with prevalent diseases of the digestive system such as gastroesophageal reflux disease, Barrett's esophagus, dysphagia, constipation, H. Pylori infection diseases, digestive bleeding, acute pancreatitis, coledociano syndrome, celiac disease and inflammatory bowel disease. 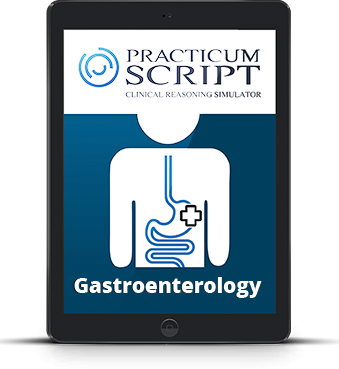 It presents a total of 100 controversial clinical scenarios of gastroenterological practice.